Qi gong addresses the body as well as the mind and the emotions, these resources will teach how to improve mental functions and emotional well being. You will learn how to improve your memory, reasoning capacity, ability to experience joy, pleasure and peace, become calmer to lower the impulse to fear, worry, lust, grief, sadness, depression, anger, anxiety, excitability and irritability and all positive expressions of the mind and the emotions. You will be able to set healing objectives well beyond the general “improvement in your vitality, mental abilities and emotional well being.” Your knowledge of the correspondences between specific qi gong exercises and physiological, mental and emotional mechanisms will enable you to make and track very specific goals in your life. You will be able, for example to distinguish between short term and long term memory problems and fix the first with kidney exercises and the latter with heart exercises. You will learn how to communicate effectively and intelligently with acupuncturists and Chinese Medicine herbalists. Most failures in these areas are caused by the patient’s not knowing how to report the symptoms to the doctor. The material will teach you how to think in the manner (patterns instead of specific symptoms and diseases) of Chinese medical practitioners. In addition you will know what exercises and dietary regimens to use to bolster the therapy received from Acupuncturists. Many of these therapies fail for the simple reason that economic factors prevent you from getting the therapy at shorter intervals than the customary once a week treatment. Although Qi Gong has proven to be effective by itself in many conditions, due to factors of individuality, herbs and diet have been found to be necessary in some situations. 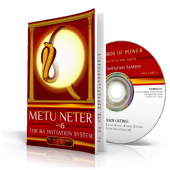 Thus, the book gives instructions in the use of Traditional Chinese Herbal formulas and dietary regimens that can be used along with the qi gong exercises.